Super Saturday is produced annually by the Children's Theater Festival, an all-volunteer organization in Tryon, NC with the purpose of enriching the lives of children and their families by introducing, promoting and encouraging the lively arts in the communities centered in and around Polk County, NC. 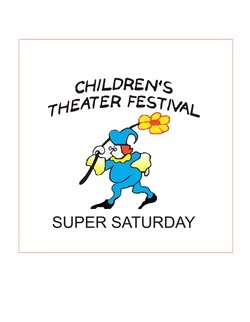 Super Saturday is presented every March and includes the best in children's theater and entertainment. World class acts perform in indoor venues, with entertainment continuing all day on the street﻿ as well as the Community Stage. The mid-day Parade is an event not to be missed by children of any age! Enjoy this video from our 30th anniversary celebration to learn more about our mission and how we got started. For more about our history, here's the Saga of Super Saturday!